The Gathering Place Ministry is an established program housed in over fifty-eight (58) churches and synagogues throughout the Houston area that ministers to persons who have been touched by a disability or chronic illness resulting with illnesses or conditions that limit their capacity to fully care for themselves. Hebrews 13:5 ... "...God has said, I will never leave thee, nor forsake thee." Trinity East’s most recent collaboration is with Interfaith Care Group and ministers to the elder population who is living with Alzheimers Disease and other illnesses associated with dementia. Coming together each third Tuesday of the month, The Gathering Places is designed to provide respite care for caretakers by providing activities such as low impact exercise and movement, entertainment, games, and a nutritious meal. Care givers also have the opportunity to come and interact with other caregivers as a support system. The growing participation currently averages 25.  The Gathering Place Ministry meets every 3rd Tuesday of the month from 10 a.m. - 2 p.m.